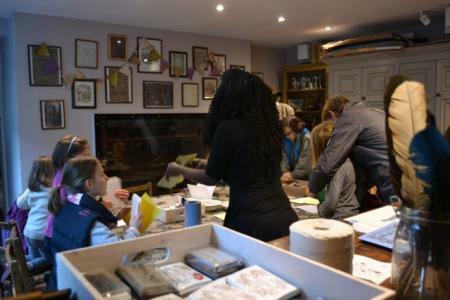 A brilliant way to make KS2 learning about life in Victorian times come to life for your primary-school child, the London home where Charles Dickens lived for two years is no Bleak House, rather an Old Curiosity Shop of memorabilia that all the family will love. 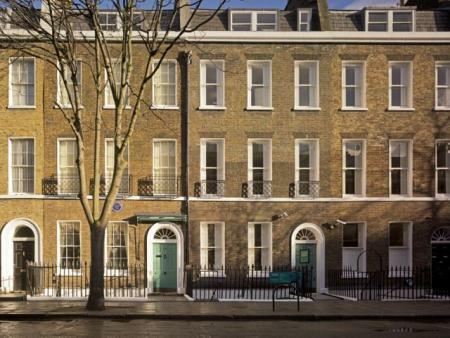 Today number 48 Doughty Street is run in a thoroughly modern manner – with online booking and accessibility for all, video and audio presentations about Dickens’s life and online archiving of his many works. But it has been painstakingly restored to its Victorian heyday, all Farrow and Ball colours – with Dickens-shaped shadows cleverly painted on many of the walls – plus original detailing even including the curved wall and door in the grand dining room where the great writer loved to entertain his famous friends. 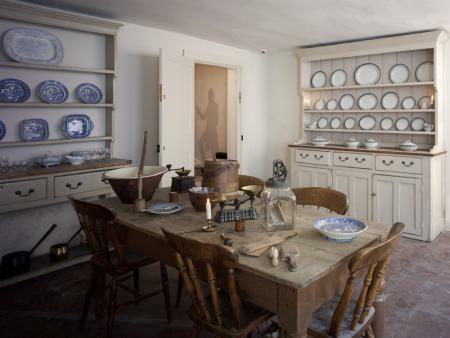 In every room are pieces of furniture purchased by Dickens – including the writing desk at which he wrote Great Expectations and a stand of his own elegant design at which he would give readings – as well as paintings, manuscripts, letters and pieces of clothing. Even the youngest visitors are made to feel entirely welcome, with audio guides and family trails to bring every room to vivid life, from the bright kitchen and scullery at the bottom of the house to the children’s and servants’ rooms at the top, with the sleeping quarters, writing and entertaining rooms in between. The most magical thing about the house for tiny visitors (apart from the fact that under-6s get in free) is there’s so much detail at littlies’ level. They’ll love the beautiful carving on the chair Dickens sat in to write Great Expectations, the vintage building blocks and coloured beads from the time of his childhood up in the nursery, and they’ll be first to spot Bill Spikes – get it? – the resident hedgehog, by the cooking range down in the kitchen. 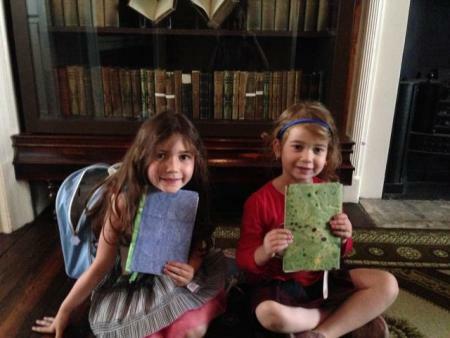 While visitors are quite rightly asked not to touch the furniture because most are fragile originals used and loved by the great writer, children are actively encouraged to get hands-on with the period toys and cooking and cleaning utensils. If you’re visiting without doing the Housemaid’s Tour, the best way to see every detail is with the Family Trail, free with entry. Even tiny learners will enjoy looking for all the furniture, books, paintings and clothing pointed out in this colourful brochure, and the best news is there’s a brand new Trail coming out specially for ages 4-7 (also brilliant for families with English as a foreign language). 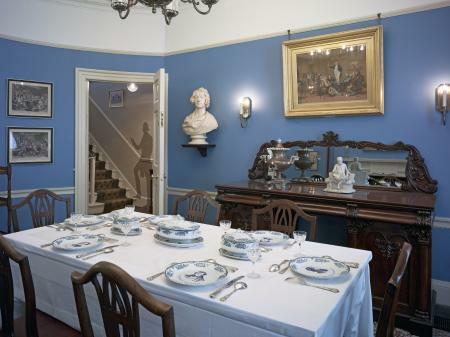 Far from being a musty old showpiece, the museum is very much a Victorian family home – you need to remember that Charles and Catherine Dickens had four children in this house (and would go on to have 10 in all). So 5-7-year-olds should feel very much at home here, no more so than running up the noisy wooden staircase to the Nursery on the third floor, where the youngest family members slept and played. There, they’ll find hands-on toys from Dickens’ day as well as Victorian children’s clothes to try on. In another corner are workhouse “clothes” – raggedy pieces similar to the ones worn by children like Oliver Twist. Dickens was a pioneering social campaigner and his writing shone a spotlight on the treatment of underprivileged youngsters – this is pointed out gently to the youngest visitors in imaginative displays around this room. Early learners should also pick up a Key Stage 1 Museum Trail at the entrance – full of fascinating facts and objects to try and spot all through the house. This age group will possibly get the most out of this magical museum. As well as being able to spot all the fabulous bits of Dickenalia throughout, 7-12-year-olds will also be able to read quotes from some of the author’s most famous works painted on the walls, and piece together the story of his life from the letters, treasured belongings and documents on display. To help, there is a very useful Museum Trail specifically for Key Stage 2. Starting in the Kitchen, children follow the directions from room to room, answering questions and finding objects as they go. This age group should also definitely grab an audioguide. These are £3 each and, while grown-ups have their own channel with a fascinating room-to-room tour of the house, for children there is a separate channel with the very same guided tour, but with more kid-friendly voices and facts. There are loads of interesting extras, too, including a fun quiz, which our 10- and 11-year-old boys loved. The Housemaid’s Tour: on the morning of the third Sunday each month, the museum opens its doors exclusively to those who’ve pre-booked this brilliant tour. So, for an hour you – and your small, select group of fellow tour-goers – have the entire house all to yourself. Dickens himself would approve of the theatricality as your group knocks at number 48 to find it opened by the “housemaid” who invites you in for a sticky-beak around while her master and his family are away at their home in Broadstairs, Kent. Our hostess’s entertainingly authentic 19th-century verbal perambulations – gossiping about her master and the other household staff as well as marvelling at our modern clothes and hairstyles – were more than worth the admission price. “Oh my love, I want to fill you full of cake!” she told our 11-year-old upon discovering that, like one of Dickens’s most-loved characters, his name was Oliver. Taking us through each room, the housemaid – played by Jane Cartwright of Spectrum Drama – let slip fascinating details. We commented on the fine-looking red drapes in the dining room and she told us they were “my master’s own choice. The domain of domestic decoration is solely his responsibility – and my mistress demurs”. And in the Scullery, she revealed that the laundry took an entire week to wash, whiten, wring and dry, and that the copper was doubled up as a cooking basin for the pudding on Christmas Day – as written about in great detail, possibly from observing how it was done in this very home, in Dickens’s A Christmas Carol. So interesting for children to get such an immersive view of how things used to be done. 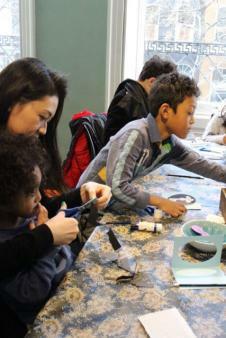 Children must be accompanied and activities are suitable for ages 4+. Your appetite should well and truly be whetted by the time you make your way past the mouthwatering – but sadly inedible – displays of Victorian food down in the kitchen and above stairs in the dining room. The cosy café offers the perfect place to sit with the family and talk about all the fantastic things you’ve seen. Huddle down inside or, when the sun’s out, try the charming little walled garden surrounded by bits and pieces from Dickens’ day – including the original gravestone of one of his beloved pets. On offer is food to tempt the whole family, including soup of the day with bread and butter (£6.20), veggie or bacon tartlet (£3.80; £6.50 with salad); sandwiches (£3.50); salads (from £4.80); cakes served by the slab (£2.80) or slice (£3.50) – all so delicious, it will have you asking: “Please, Sir, can I have some more?”. It’s also worth noting the café is licenced so wine, beer and spirits are available to accompany mum and dad’s meal. If you’re looking to give the kids a run-around after the Housemaid’s Tour, before coming back at 1pm for a closer look at the house, the built-for-kids Coram’s Fields is five minutes away, with playgrounds and café, as well as Russell Square, with its open-air café, and the Brunswick Centre for shops and restaurants. By far the best way to reach this brilliant bit of London is by train, tube or bus. The museum is about a 10-minute walk from Russell Square underground (Piccadilly Line), Chancery Lane or Holborn (Central Line) and Kings Cross St Pancras overground. Lots of buses whiz past nearby, alongside Russell Square – 7, 17, 19, 38, 45, 46, 55, 243. Admission is £9 adults (£8 if booked online in advance); children (6-16) £4; concessions £6; children under 6 years: free. Pre-booked tours are held on the third Sunday of the month – on those days the museum opens for general admission at 1pm. The Housemaid’s Tour is £15 adults, £8 children (minimum age is 6 years), £12 concession. The Charles Dickens Museum is open Tuesday to Sunday 10am-5pm. It is closed on Mondays, with the exception of Bank Holidays. The light, bright gift shop at the entrance is a veritable Old Curiosity Shop of lovely things. Best for mini budgets are museum-branded pencils (75p), bookmarks (£1.50 for paper, £2.50 for leather), pens (£2.25), keyrings (£2.50). Most popular with our boys were the original Victorian pennies, shillings and sovereigns – shined up and sold on their own from £1.75, or as a nifty keyring for £2. For those who catch the writing bug after their visit, there are also exquisite calligraphy nibs for a snip – £2.25 for a handsome nib pen and brightly coloured ink sets for around £5. Lovely notebooks – again with the museum’s name on and perfect for making a note of your Dickensian story lines and characters – come in at £4.50. The website is a veritable jewel box of Dickensiana – a thorough guide to the museum and its contents and packed with useful links about this writer and his fascinating life. One of its best online offerings is a link to an app that lets you walk through the London streets once loved by Dickens in the footsteps of four of his many famous characters. Developed in partnership with the museum and free to download for phone or tablet, it invites you follow Lady Dedlock (from Bleak House) to learn about women’s lives through tales of marriage, murder, poverty and philanthropy. Then there’s the trail of Great Expectations’ crafty Abel Magwitch, immersing you in tales of Victorian criminality and the law. Pickwick Papers protagonist Samuel Pickwick invites you to explore some of London’s most famous pubs, coffee houses and theatres, while the Artful Dodger, from Oliver Twist, shows you some of the places that coloured Dickens’ writing about social issues – from the old foundling hospital near the Dickens Museum to former workhouses.